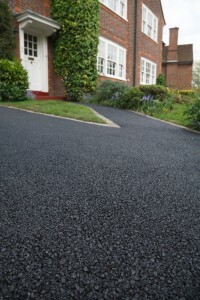 Driveways, walkways and roads play a very important role in this modern world. To people who drive expensive cars or even the ordinary commuters, road condition matters a lot. It is an essential requisite for travel safety, comfort and convenience. Who would want to travel in bumpy roads? Who wouldn’t get tired of traveling for long hours in a congested road? Who wouldn't worry of their tires while traveling a rough road? The answer of course is NONE. We all expect a smooth and hassle-free ride. How is this possible? Primarily, one has to consider the best material to use in solving road issues on the basis of cost efficiency, efficacy, and flexibility. 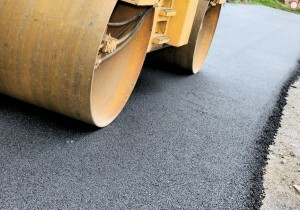 According to recent statistics, asphalt is widely used for making asphalt concrete for road surfaces and accounts for approximately 85%of the asphalt consumed in the United States. Considering the data, you would most likely wonder, what are the major benefits of using asphalt in road constructions. There are a number of known advantages in using asphalt among others are; cost efficiency, environment friendly, administrative feasibility and flexibility. The use of asphalt guarantees a minimal cost compared to other materials used in paving road surfaces. The materials being used are readily available and the supply of the raw materials is in abundance. It has been observed that the use of asphalt reduces noise pollution and it is also one hundred percent recyclable. There is really no waste in using because it uses fresh renewable materials that would not do any harm to the environment. Asphalt is easy to maintain and fast to construct. It will not cause so much inconvenience in terms of long term construction or re-construction works. When you use it on a highway, it will not disrupt the traffic flow for a long time or cause tremendous traffic condition while the work is on-going. Asphalt roads may be designed to serve the pressing needs as it can be susceptible of being customized. It can serve to match the climactic conditions of the roads in a particular place and may be made to match to other road conditions in urban or sub-urban roads. Given all these interesting facts, I guess there is no reason not to try asphalt in paving a way to a more polished surface.